It has only been a few days since NVIDIA’s meaty Turing announcement at Siggraph earlier this week and the leaks and rumors are already pouring in, but this particular one is quite special. So let’s get straight to it! 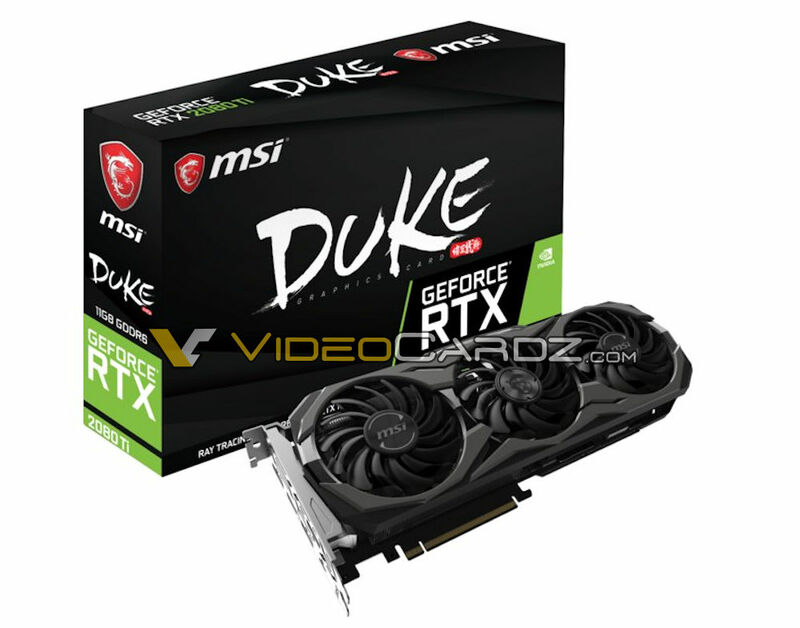 Thanks to several leaks from MSI & others, the RTX 2080 Ti & its specs have been confirmed. According to at least three separate sources NVIDIA is said to be looking to surprise everyone with the launch of an absolutely monstrous RTX 2080 Ti graphics card and not just an RTX 2080 as was previously thought. 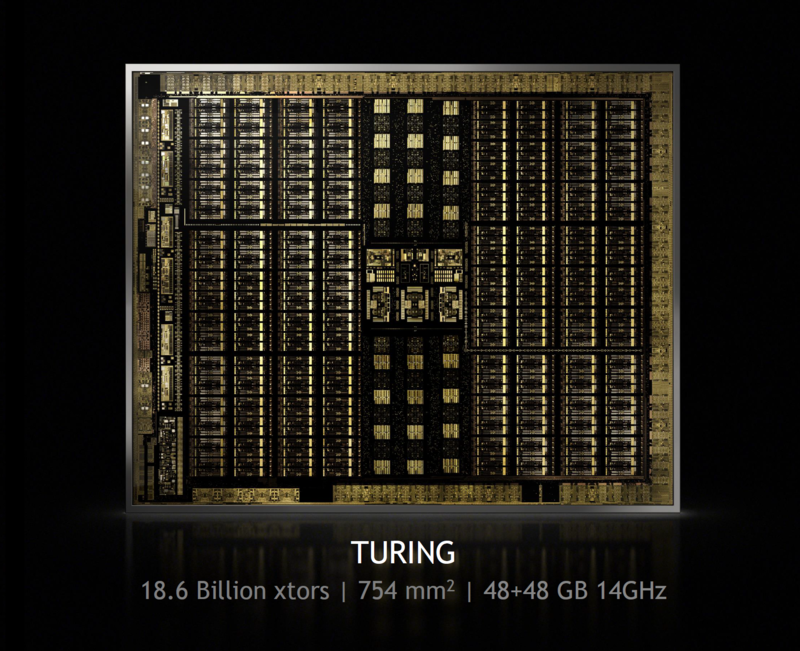 Additionally, according to TPU, the new gaming flagship features a very slightly cut down version of the big daddy Turing GPU that we saw in all its glory earlier this week at NVIDIA’s keynote. A version that’s in fact very similar to the GPU that the company leverages in its $10,000 Quadro RTX 8000. We’re going to call this chip GT102 for the time being, although TPU alleges that it may actually be called RT102. So, what exactly are we looking at? Well, the RTX 2080 Ti is said to feature 4352 CUDA cores, 576 TENSOR cores, 272 TMUs and 88 ROPs paired with a 352-bit memory interface and 11GB of 14gbps GDDR6 memory for a whopping 616 GB/s of bandwidth . Please be reminded that these specifications are very much rumored and in no way shape or form confirmed at this moment. Especially considering that, once again and very much like what we saw with the rumored RTX 2080 specs, TPU has low-balled the clock speeds of the graphics card considerably. 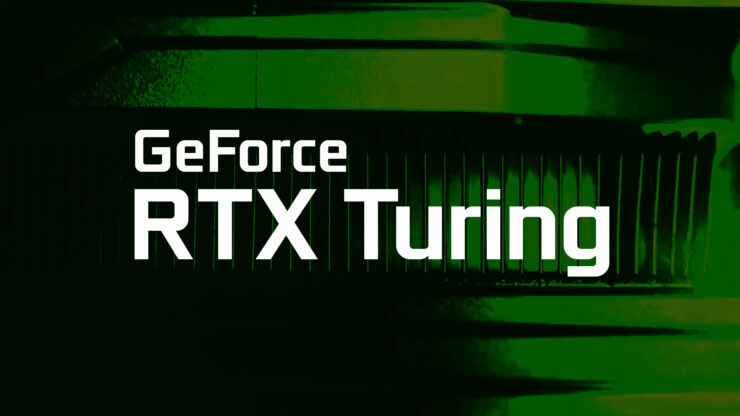 Putting the boost clock speed at around 1.5 GHz when we actually know that big Turing can conservatively run up to ~1.73GHz based on the Quadro RTX 6000 and 8000 specifications. So this is one of extremely few situations where the actual product may end up being better than what it’s rumored to be. With that being said, based on what NVIDIA has historically done with its XX80 Ti class graphics cards we can reasonably expect that if team green does launch an RTX 2080 Ti as claimed, the specifications are very likely to be in the same ballpark and won’t be that far of from what’s outlined above. The real take-away here is that anyway you slice it a GT102/RT102 powered graphics card would put even NVIDIA’s Volta based TItan V to shame. Which, given an attractive price tag, would undoubtedly make the 2080 Ti the new go-to high-end gaming choice. Finally, this brings us to the questions of when exactly will this fabled 2080 Ti be released and how much is it going to cost? Unfortunately we don’t actually know and seemingly neither do any of the sources that leaked the card. If NVIDIA chooses to release the 2080 Ti alongside the 2080 and 2070 it would mark the first time the company has ever done something like that. Quite frankly we’re more likely to see a new Titan first, before we see a new 2080 Ti, but hey NVIDIA is full of surprises these days so you can expect pretty much anything.